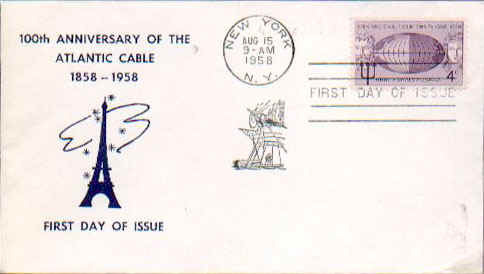 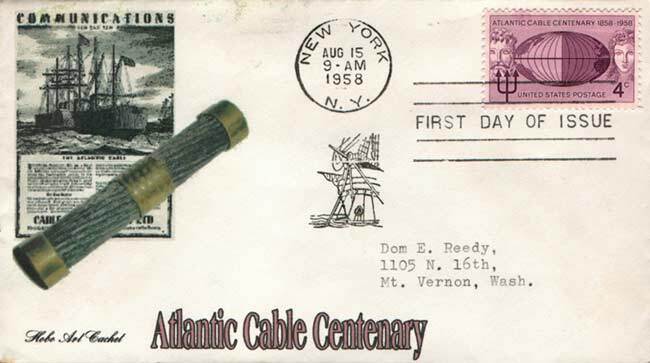 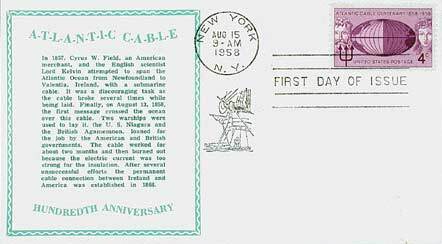 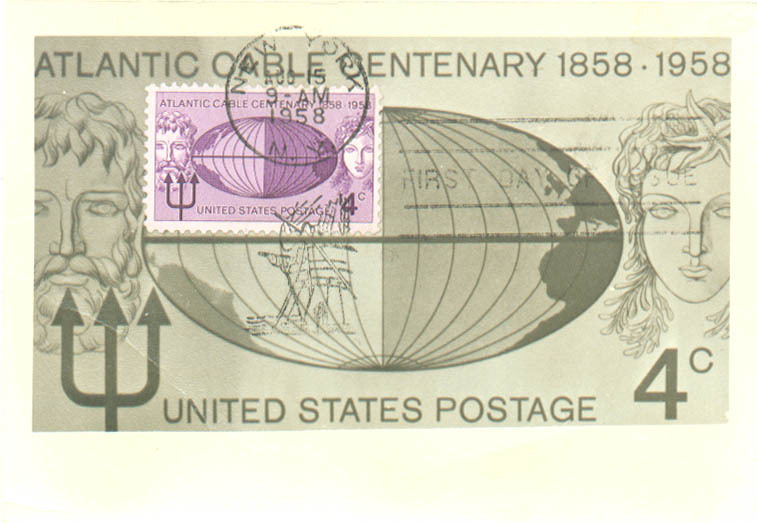 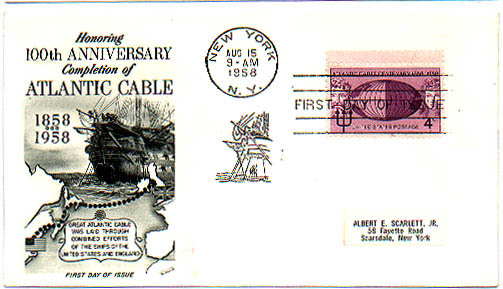 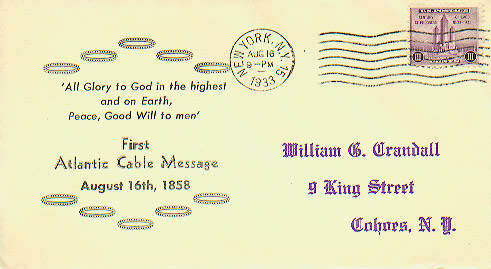 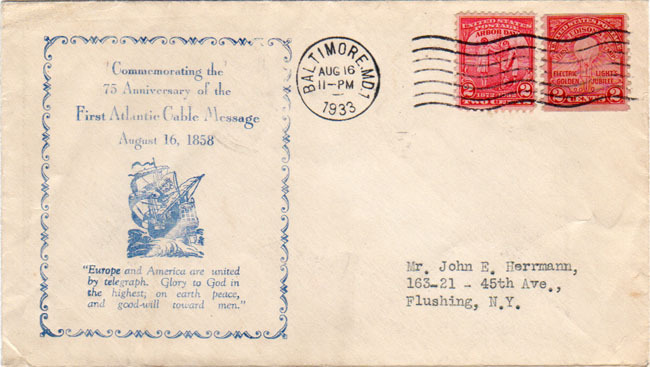 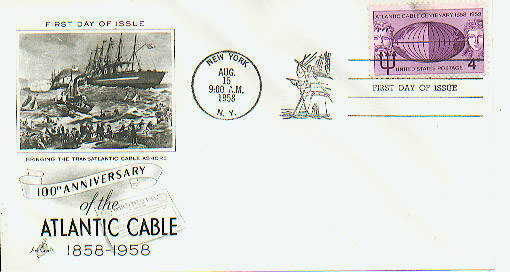 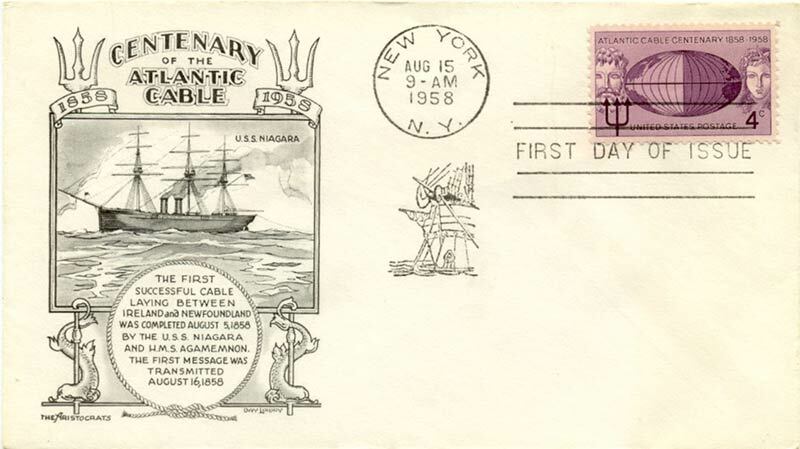 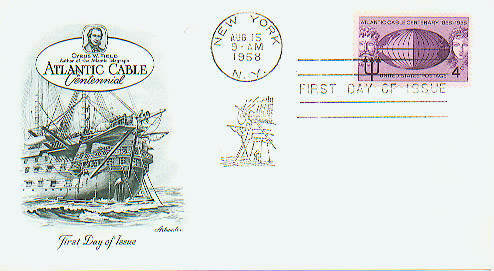 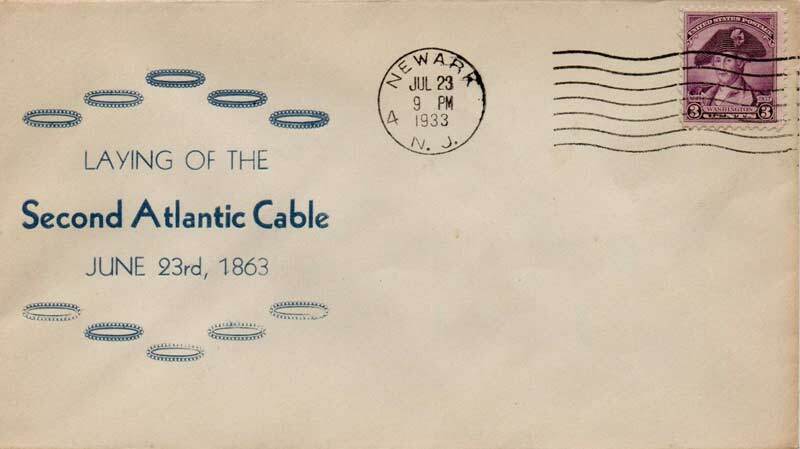 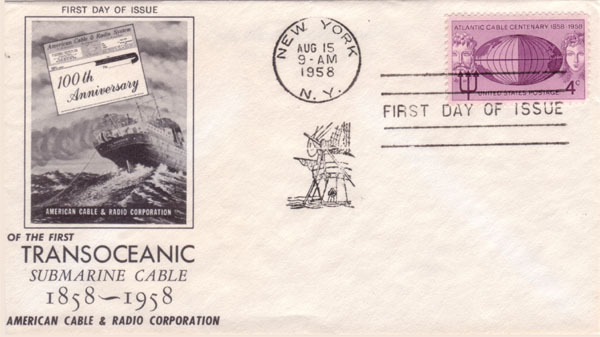 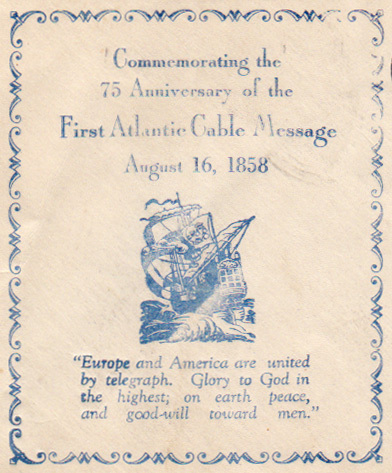 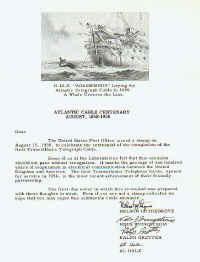 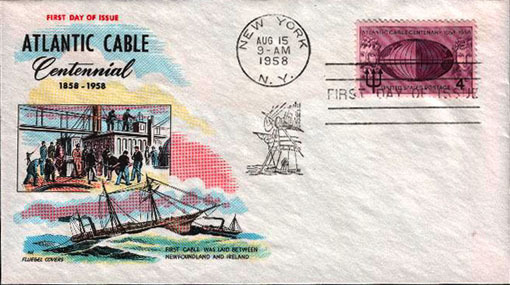 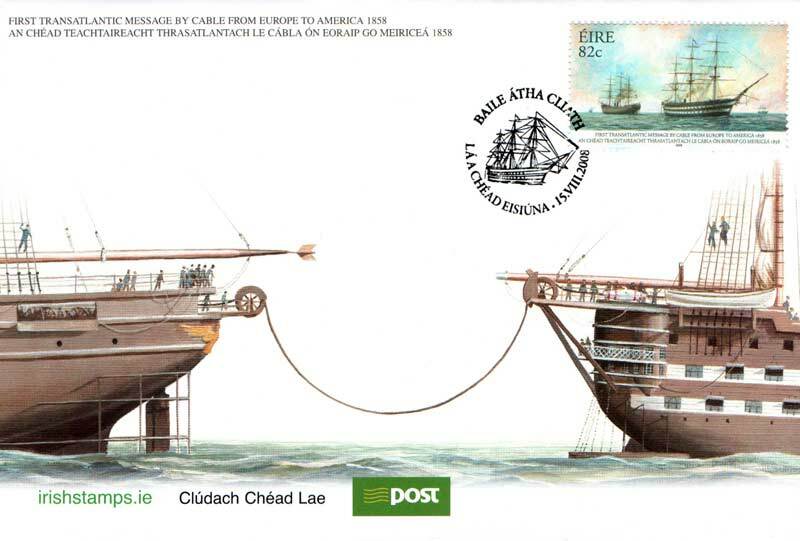 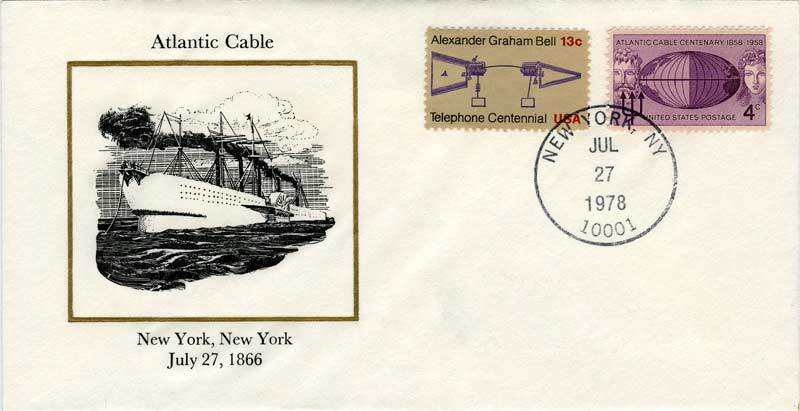 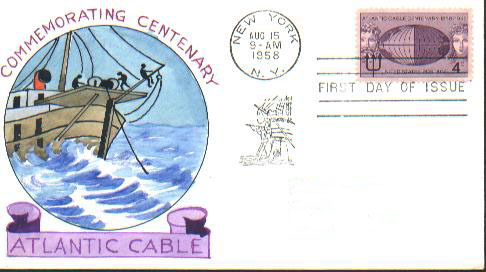 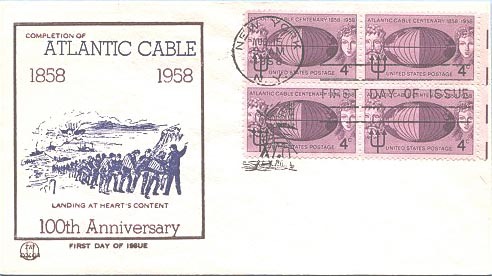 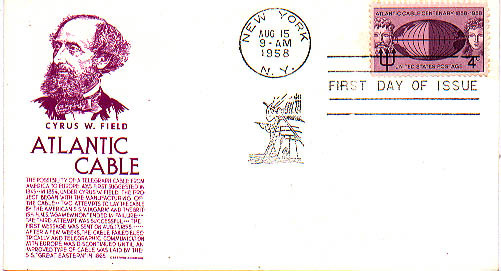 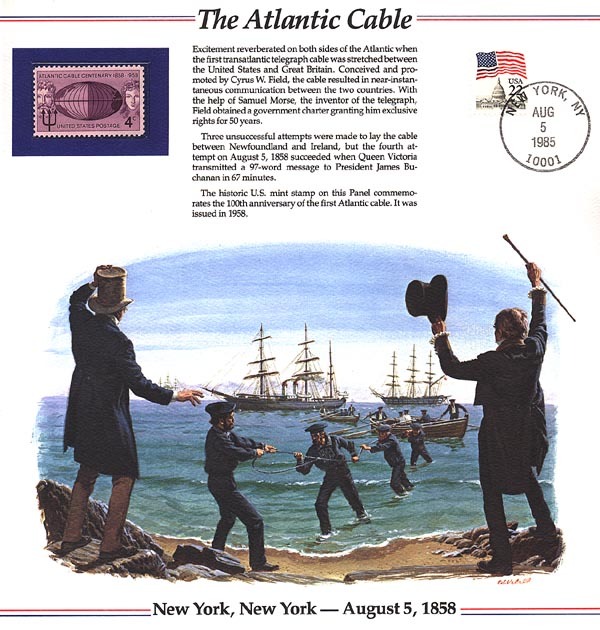 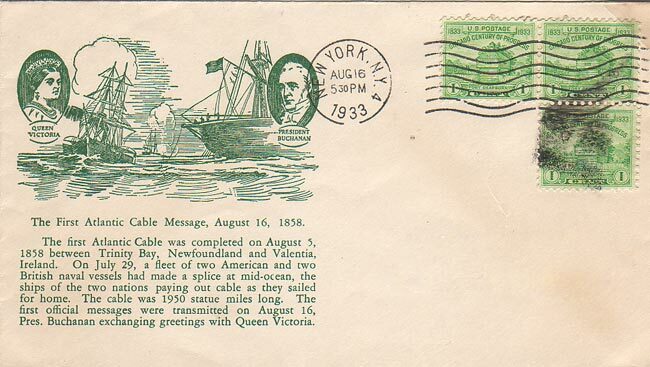 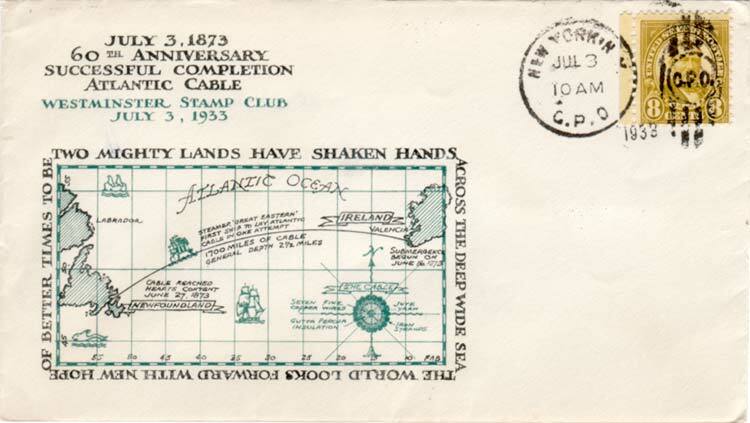 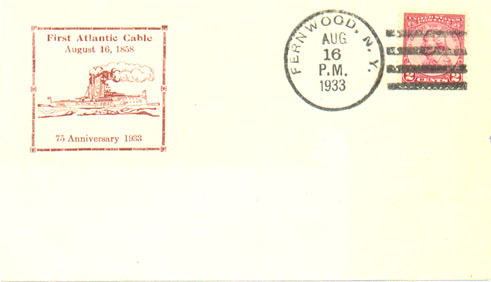 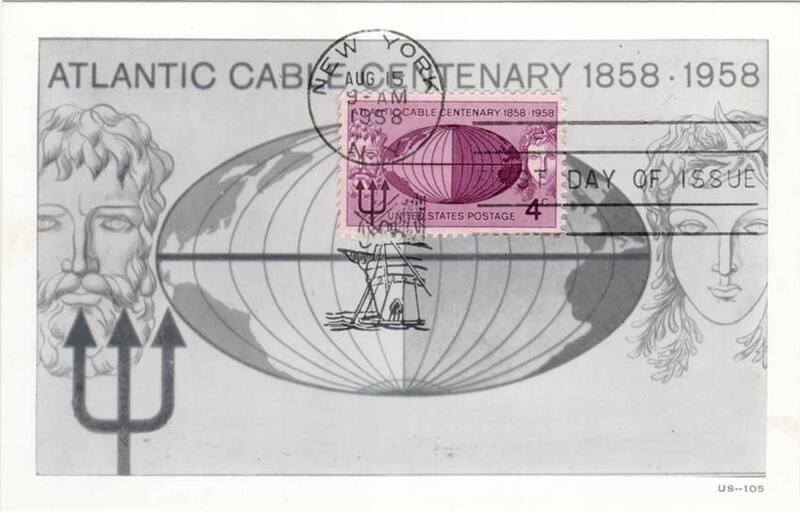 1933 - Cover for the 75th Anniversary of the 1858 cable. 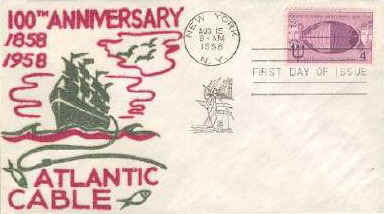 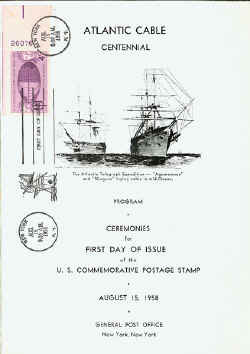 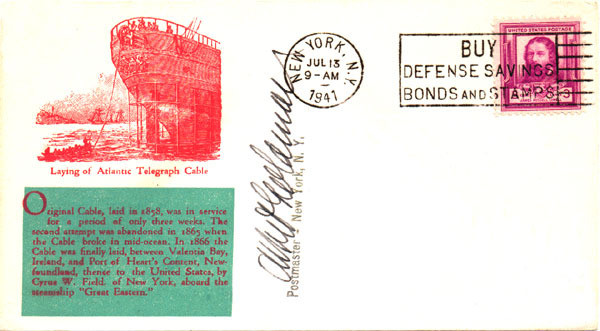 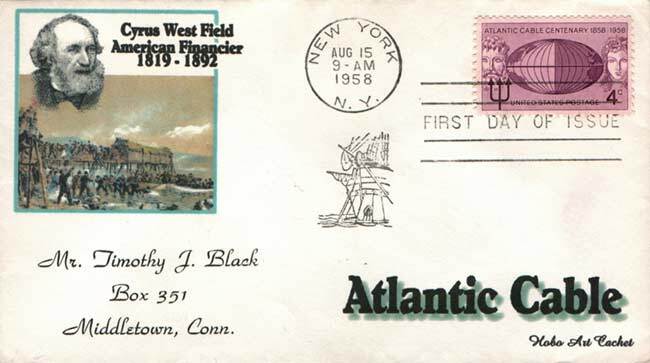 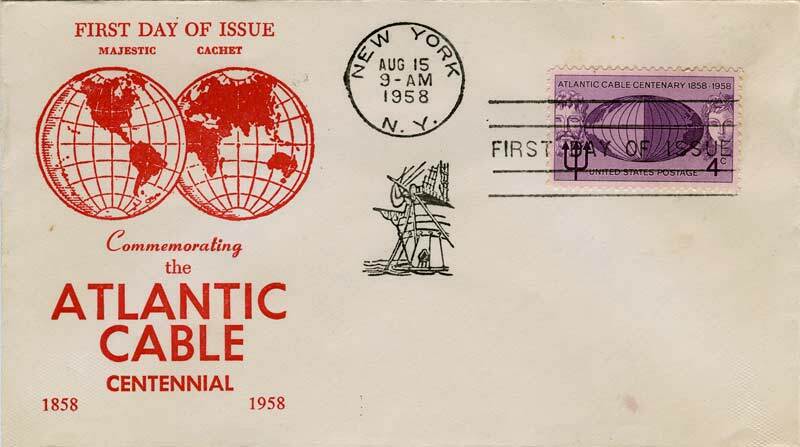 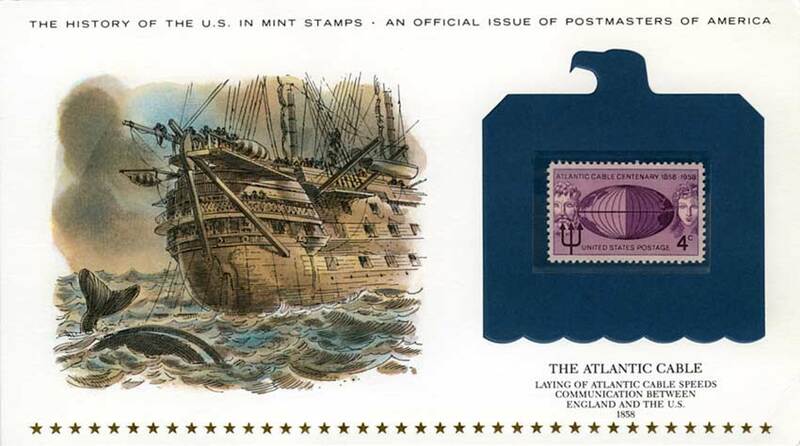 1933 - 75th Anniversary cover. 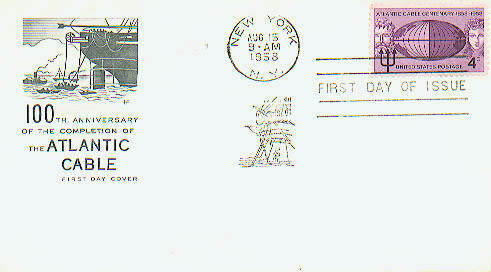 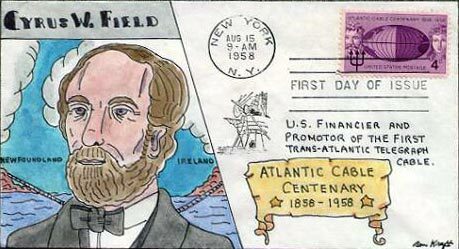 Closeup of cachet 1933 - 75th Anniversary cover. 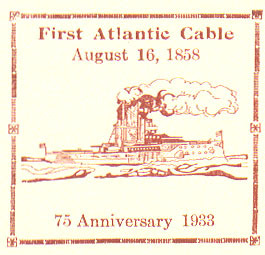 1933 - 75th Anniversary cover. 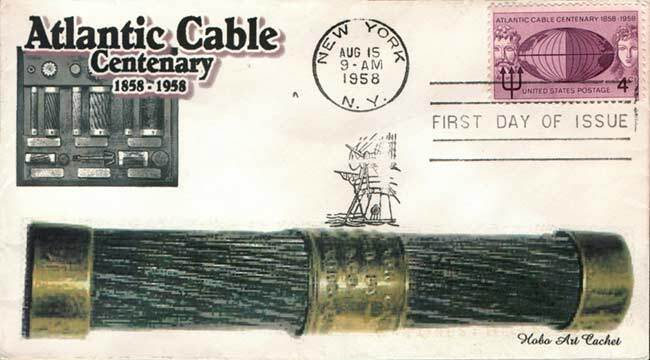 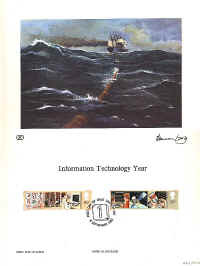 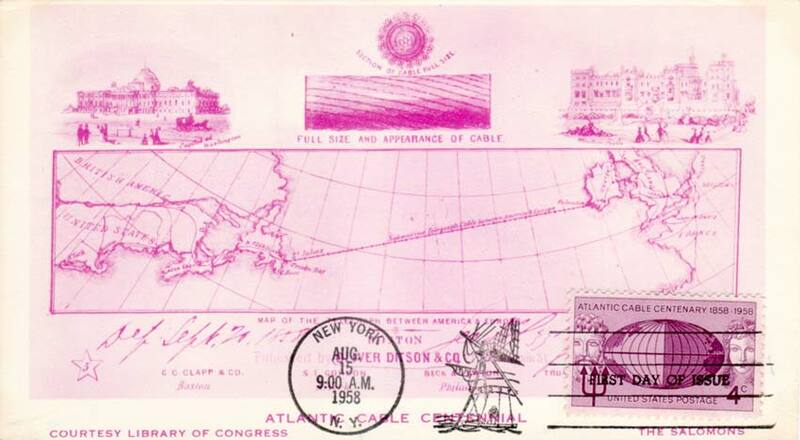 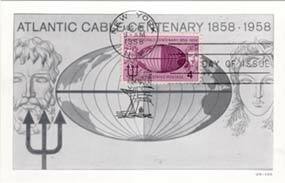 Scott catalog #1112 Cover from "The Laboratories" letter, showing Cyrus Field, the 1858 telegraph cable, and the 1956 TAT-1 telephone cable. 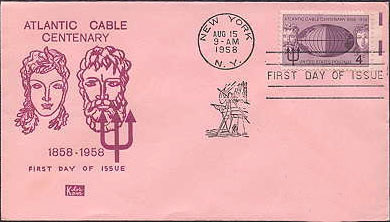 1958 letter sent out by "The Laboratories"
Thanks to Sheldon Hochheiser, AT&T Corporate Historian, for confirming that the four signers of the letter were on the staff of Bell Telephone Laboratories in 1958.
printed in a reddish purple by rotary press, electric-eye perforated and issued in sheets of fifty"
1958 Cachet Craft FDC 1958 American Cable & Radio Corporation FDC. 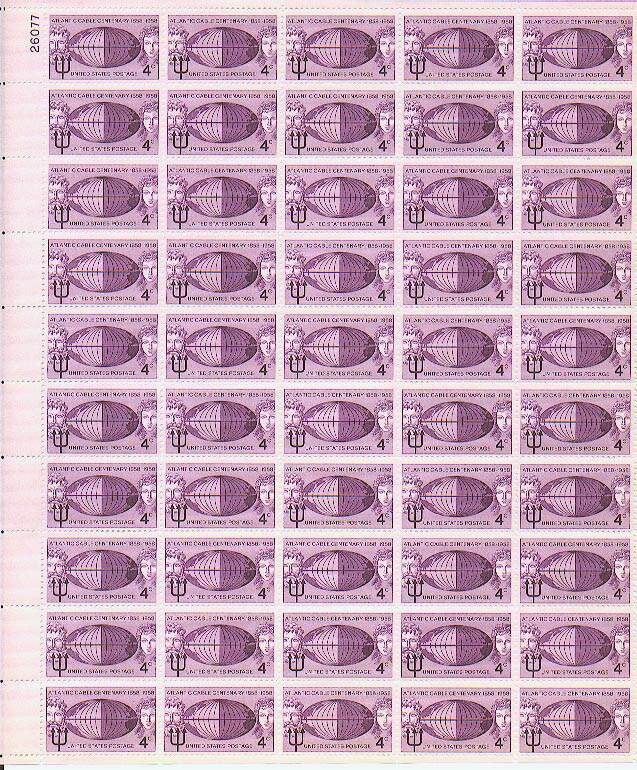 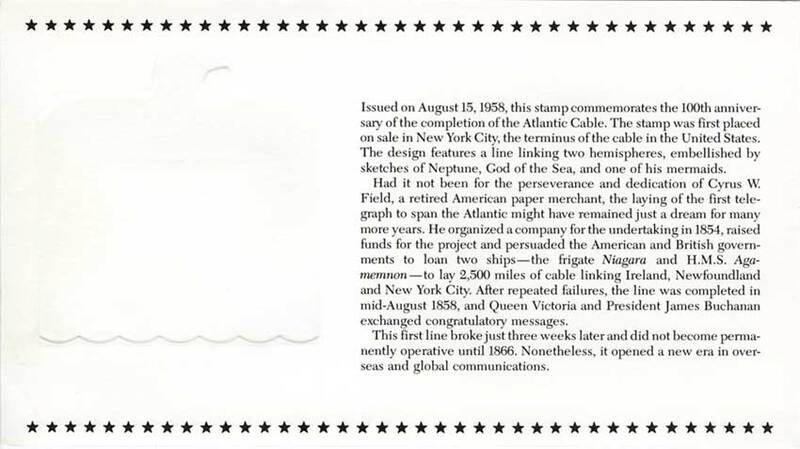 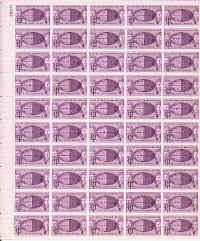 Click on the image for a detailed description of the artwork and the stamps. 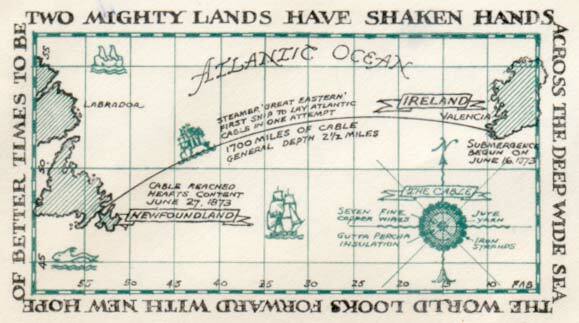 This souvenir panel, issued in 1985, is strangely inaccurate. 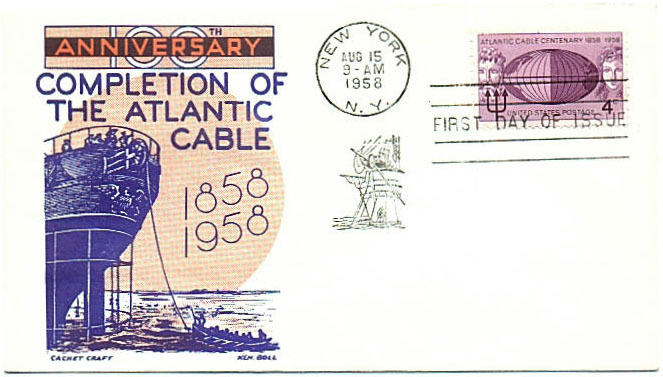 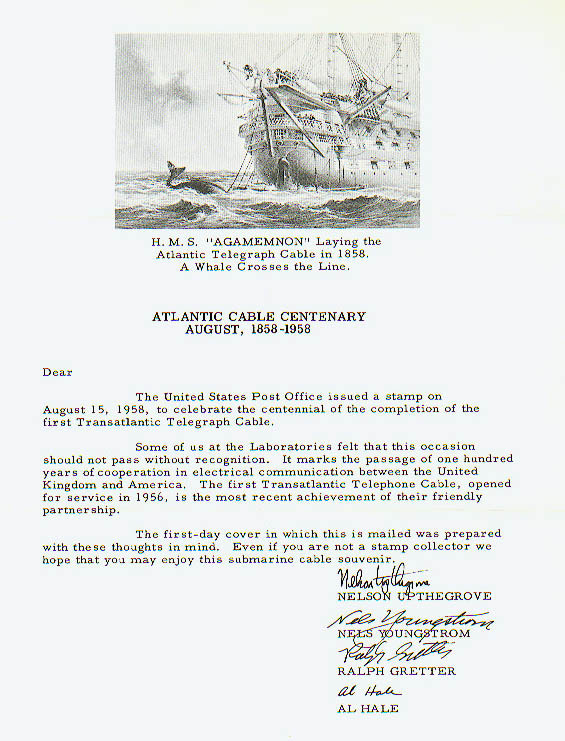 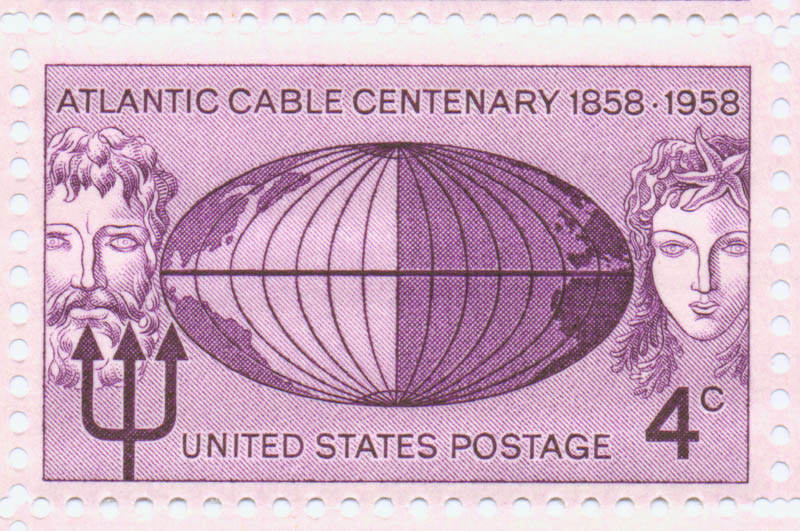 The cable was brought ashore in Newfoundland, not "New York, New York". 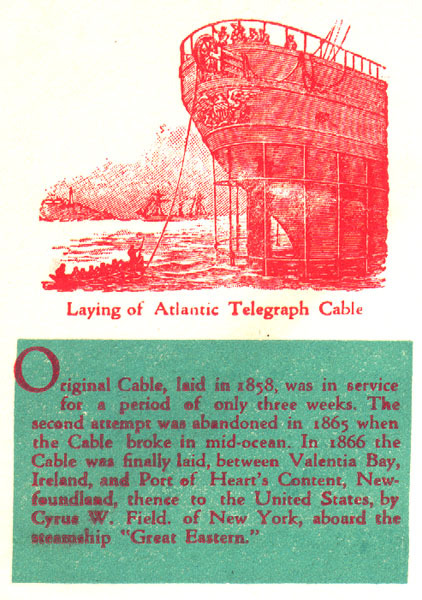 This was the third attempt to lay the cable, not the fourth. 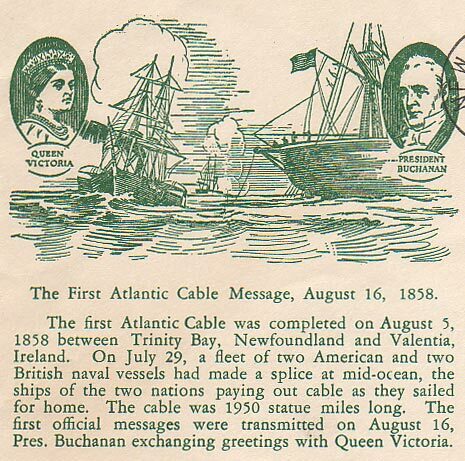 The message from Queen Victoria to President Buchanan was not sent on August 5th, and it took over 16 hours to transmit, not 67 minutes. New York Times for Tuesday, August 17th, 1858, which was included with the program.